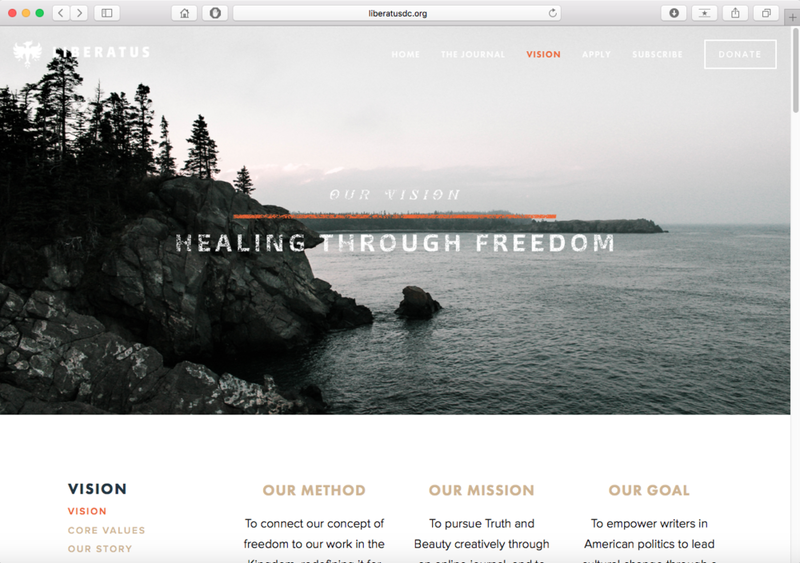 LIBERATUS is a non-profit in the Washington, D.C. area— whose mission is to bring healing to American politics by speaking a story of Truth and Beauty into our political system through a weekly online journal, written by people on the inside. You can learn more about LIBERATUS on their website. Known for its rebirth out of fire and rise from its own ashes, the phoenix is a symbol of the new life and freedom that is promised to us in Christ. It is alive, and it is alive because it is free. The wings reference the strength and power of ocean waves, similar to a simple idea that starts as a whisper, but then grows and washes over you and sparks a revolution inside of you. They also reference fire, like that idea that burns inside of you—that knows there is something better to fight for. The feathers falling away from the wings are a representation of shaking off the old and growing into the new. No real change can occur while old ideas are embraced. The tail feathers reference the olive wreath that is worn by champions in the Olympic games. The phoenix is not only alive and free, but it is a champion. It achieved greatness because it endured to the very end. You can delve a little deeper into the logo here. Flag design for Liberatus. Photographed by Anna Meyer Photography.